First of all "Happy New Year" from the AirConsole team! 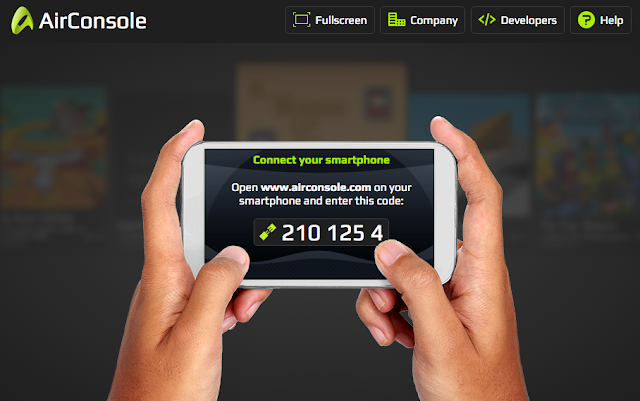 At the beginning of 2015 AirConsole was born. Time to look back and see what we achieved in the last couple of months. The idea was simple: Your smartphone is the gamepad, your browser is the console. In the first Quarter of 2015 the first prototype of AirConsole was created. Everything is web based, no hardware or download required. AirConsole is an instant entertainment system for friends that want to have an unforgettable social experience - right now. At the start it was just a Nintendo NES emulator which could be controlled with the smartphone. Great proof of concept for the technology, but quite hard to play the games from 1980s with the smartphone as the controller. ​We found great investors that saw the potential of AirConsole. We were able to raise CHF 1.35 mio by May which allowed us to start working full-time on AirConsole. The next steps were clear: Building a team and getting an office. Building a balanced top notch team is a very important challenge for a Start-Up. The team is the biggest success factor of a Start-Up. We spent a lot of time scouting in spring even before we had successfully finished the fund raising. By July we had built an awesome team. The team's expertise in technology, design, game development, community management and marketing is impressive. 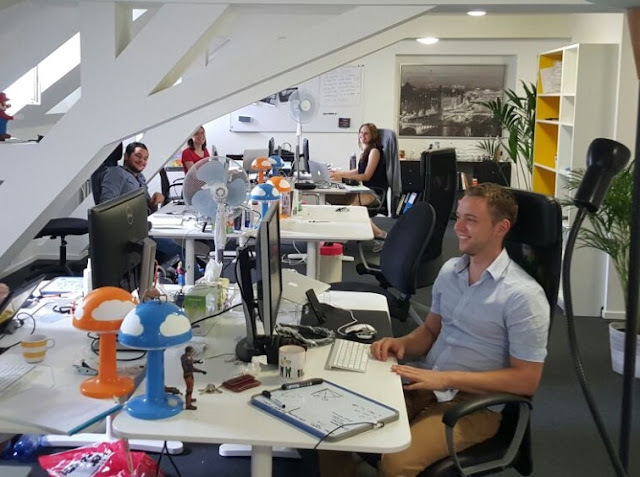 Everyone is thrilled to be part of AirConsole and one can really feel the passion within the team. Andrin von Rechenberg, a former Google TechLead with previous Start-Up experience. Andrin is the founder and responsible for the scalable AirConsole infrastructure (frontends, backends, gameservers) and creates games once in a while. Francois Weber, our web-development guru with Start-Up experience. 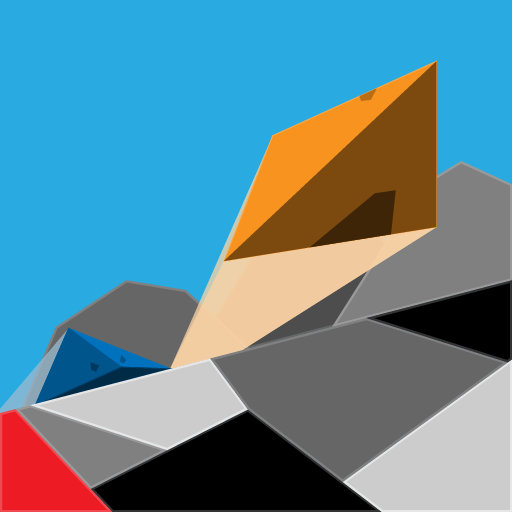 Francois is responsible for the AirConsole API, Developer Tools and creates cutting HTML5 games. Martina Hugentobler, our fantastic 3D artist. Martina joined us straight from ZHDK. She is our lead designer in the team, creates our iconic 3d characters and advises 3rd party game developers in design questions. Alice Rupert, our lead Unity Developer. Alice also joined us straight from ZHDK. Together with Martina she creates our flagship Unity3d games. She is also the maintainer of the AirConsole Unity Plugin and provides advice to 3rd party Unity game developers. Rafael Morgan, our product manager with experience in a Gaming Start-Up. Rafa is our main link to the outside world. He talks to the medias, strikes up great partnerships, manages the community, talks at conferences, but most importantly manages our beloved product. In addition we enjoyed the great help from freelancers, including Chin-Ho Kwong (our favorite pixel artist), Goran Saric (Unity Plugin), Andreas Bissig and Michel Barengo (Sound design) and many more. In July we opened our Office in the heart of Zurich. It is full of whiteboards that were full in no time (2.4 square meters per employee! ), Screens, Laptops and of course all game consoles from the last 30 years. To adjust the office to our needs we only had to build in an IKEA kitchen and a few glass walls. We really love working from here, except in July when it was 35°C / 95°F in the office. Note the fans in the above picture. With the team and the office ready, we wanted to take the prototype to the next level. We did a complete redesign and rebranding of the product in July. The platform was renamed to AirConsole. We were able to buy the domain second-hand and started registering the Trademark. The redesign immediately made the product feel much more intuitive and major. Nothing was launched externally yet, because we still only had the NES Emulator ready for gaming. The core platform was ready. It was clear to us: We now had to provide content for the platform and so during Summer 2015 we created 6 Games. We knew that the launch of AirConsole would allow us to understand what people will like and the do's and don'ts of multiscreen game development. Tic-Tac-Boom was created by Francois and Chin who joined us for the project as a pixel artist. We still used a classic gamepad controller but improved the implementation a lot so it would feel much more natural with swipe and touch support at the same time. 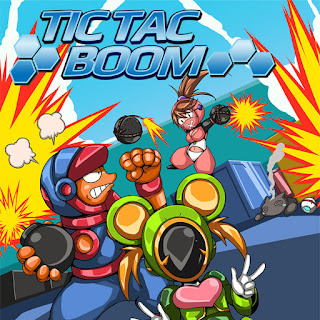 This is one of our favorite childhood game genres and it was fantastic to see it coming to life on AirConsole. HitParade, our first 3D game, was created by Alice and Martina. It was the first game that got the controller right. Just one button to swing your hammer at fruits and shake your phone to get up if you missed a fruit. This game was implemented in Unity. With the help of Goran Saric we created a plugin to connect Unity and AirConsole. We reused this plugin in many games that we launched later on. AirShields is a small game that Andrin created early on mostly for testing purposes, but it turned out to be so much fun that we decided to include it in the upcoming launch. 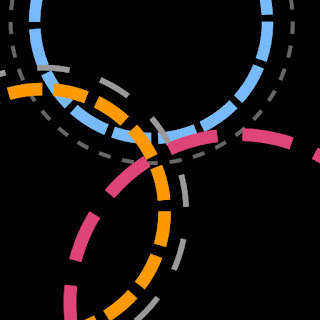 It is also a one button game.The goal is to complete a circle by adding segments without hitting already added segments. 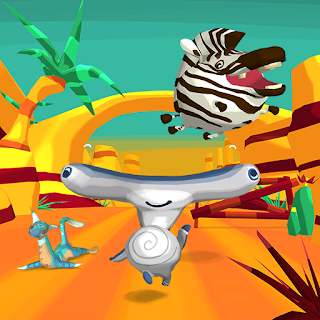 PolyRacer was developed by Andrin and later turned out to be the most successful game. It was interesting for us to see that such a simple game with which was made in two weeks would become the #1 hit on AirConsole, it definitely was a surprise to us. Quick Minds is a quiz developed by Andrin with licensed content from two retired US quiz writers. The smartphone has four buttons to select an answer. Because the buttons are placed in the corner of the smartphone screen this controller works really well. Yet another learning in the process of creating the best controllers for a smartphone. Texas Holdem Poker was the first game on AirConsole that used the smartphones screen to show secret information to the players: Their cards. 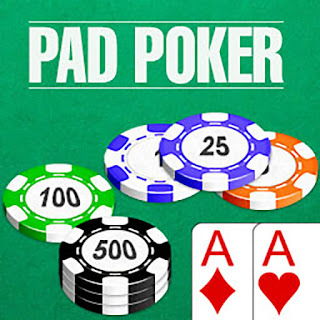 In most action loaded games we do not want the user to look at their smartphone when they play, but in a turn based game like Poker, it is perfect to have a rich controller showing secret information. The Platform is ready, the first 6 Games are built and we started to spread the word. We are ready to launch. It was Friday morning September 4th. We had already launched AirConsole locally in Switzerland the day before and had some press in the local news papers and were on ProductHunt with an early access link. Now AirConsole was finally live across the globe. We were all extremely excited and watched the Google Analytics Real-Time Statistics. We were also looking out for tickets and bug reports on our help page and in social media. Users slowly started to trickle in, everything was smooth and we were pleased. So we left for lunch. The Google Analytics Real-Time Statistics still open in the browser tab. We went to a nearby restaurant ate and then got some stuff for the Launch Party that was scheduled to take place in the evening. Then we got back to our desks. And there it was. "Guys it is happening!" The Real-Time counter started to climb and climb and climb. Everybody was just staring at it. New gameservers were automatically spanned in the background while our jaws were wide open. Traffic really started to pump through the system. "Guys we're on the frontpage of HackerNews! Position 29! No wait, 28!". Francois' F5 key started to being punched. And punched and punched until we were in the top 10 of HackerNews. The Next Web wrote "Airconsole beat Apple to making great multiplayer mobile games"! The office was full of energy. On the first day over twenty thousand unique devices were used on AirConsole from 131 different countries. Yes, the launch party on the eve of September 4th was a true party. Tons of articles were written in the following days and we knew that once the initial press excitement would be over, we would have less traffic and so we continued the hard work right away. TechCrunch wrote in a good article that the number of games was pretty limited on AirConsole, and they were absolutely right. We wanted to launch an MVP as early as possible. We were hungry for data so we could stop basing our decisions just on gut feelings and start basing them on real play statistics (as already mentioned we didn't expect PolyRacer to become the #1 game in AirConsole). The number one goal now was more content for AirConsole. We knew that we were not able to create all the content we wanted ourselves. AirConsole was designed from the beginning in a way that makes it really easy for 3rd party developers to create games on top of it. We wanted 3rd parties to start using our API and get some feedback from them. Francois created an outstanding documentation for the AirConsole API, Rafa talked at many game developer conferences about AirConsole, Martina and Alice got the students from ZHDK's game developer program excited and Andrin started to build a system for 3rd parties to manage and upload new games to our infrastructure. And then we launched a contest for 3rd party developers: The best 4 games would get a total price money of $5'500. The deadline was in December, about 3 month away. 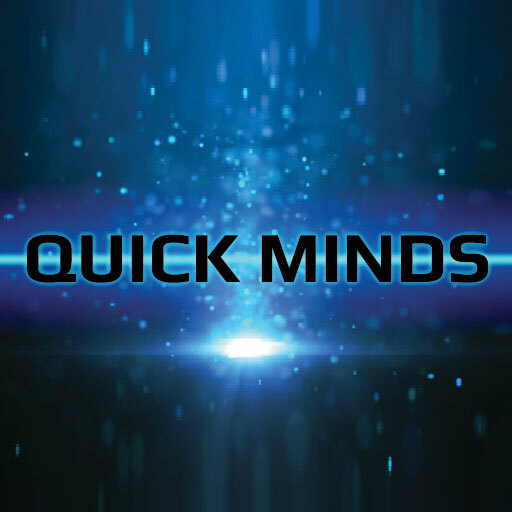 At the same time, we started the second batch of in-house developed games right away. 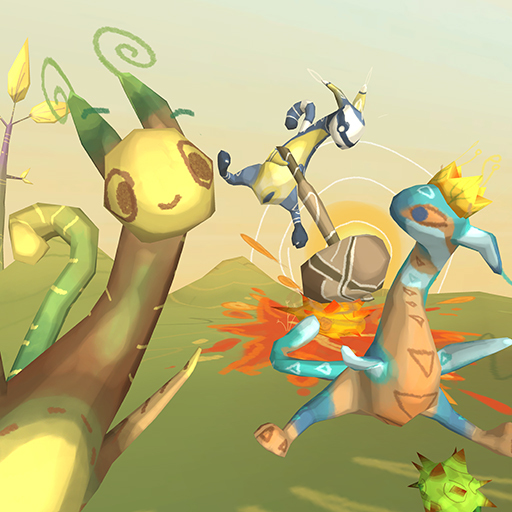 This time we said that we are only going to create games with familiar game mechanics. SillyRunValley was developed by Alice and Martina. We all love games like TempleRun. So we decided to do a multiplayer version with up to eight players at the same time. The characters are controlled by swipe or shake gestures. The game was already so much fun during development, that we had to clear a few whiteboards to keep track of internal SillyRunValley high-scores. 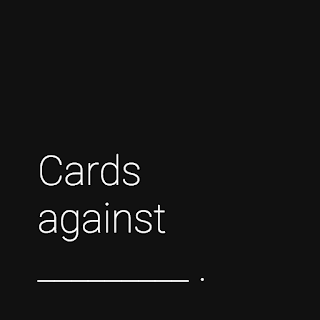 DarkHumor is an implementation of "Cards against Humanity", the best-selling card game on Amazon even though it is quite controversial. 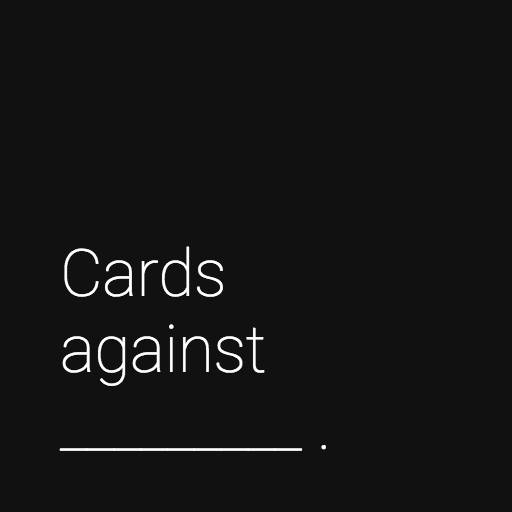 We took the open-source card deck database and implemented the complete game within four days, including the voice of Norton the beloved game host. It is at present the most played game on AirConsole! 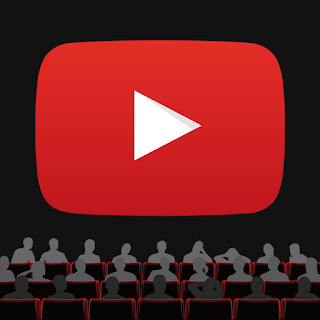 YouTube Jukebox was developed by Andrin and is not a game, but the first app for AirConsole. It lets you watch YouTube videos together on the big screen. Everybody can vote what should be played next. No more fighting over the laptop at a party that is powered by YouTube music videos. Rafa was able to establish a couple of great partnerships in Fall 2015. Most notably the one with OnePlus: We launched "Silly Run Valley", "BrickWars" and "Remon&Honey" (a game developed by Chin Kwong as a freelancer) exclusively for the OnePlus fan base for two weeks. OnePlus launched a great marketing campaign around this and drove great traffic to us. In fall 2015 we also stepped on several landmines: Huge sudden spikes in user traffic. All Start-Ups absolutely love these. On one occasion in October we got on the frontpage of Reddit! We tried to submit AirConsole a couple of times ourselves before, but a post from one of our fans got huge traction with over 4500 upvotes. This got us a lot of great feedback and we continued to learn how people use AirConsole. It also confirmed that we are on the right track. There is a great interview with Rafael about this. We knew from the beginning, that when AirConsole becomes a success, we will need to be ready and have a scalable server infrastructure. We decided to go with a Google Cloud solution (AppEngine & Cloud Compute). Spending time on building this system was really worth it and the Google Cloud is amazing. The system never went down due to overload, even during the big spikes when we were on the front page of Reddit, the system scaled smoothly. 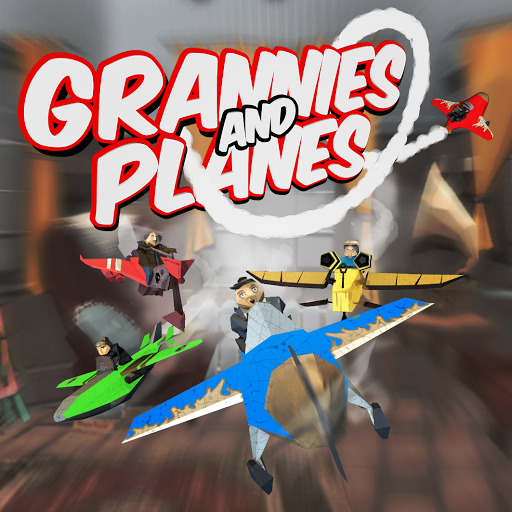 "Grannies and Planes" was submitted by Philipp Stern & Sonja Boeckler. In this game you control an airplane by just tilting your phone! This is an amazing showcase for AirConsole. "Mocking Birds" was submitted by Max Striebel. 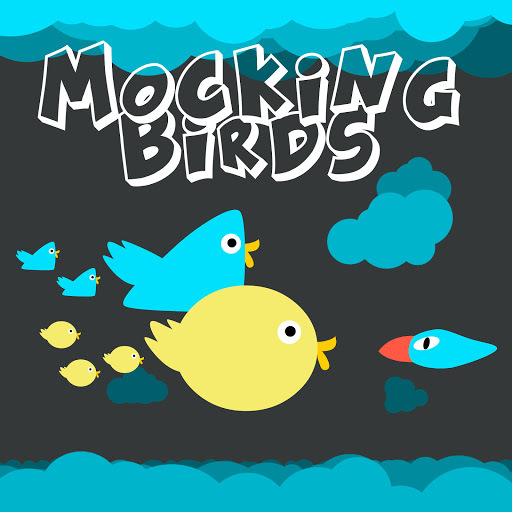 It is as simple and addictive as Flappy Bird, but multiplayer and very competitive! 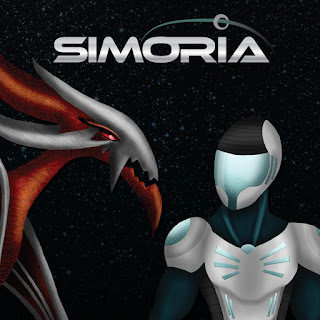 "Simoria" was submitted by Dabco, a game studio from the US. It is similar to the world-famous Werewolf role playing game. We had tons of deceptions and laughter while play testing it. "Tower of Babel" was submitted by DNAStudios, a game studio from Switzerland. 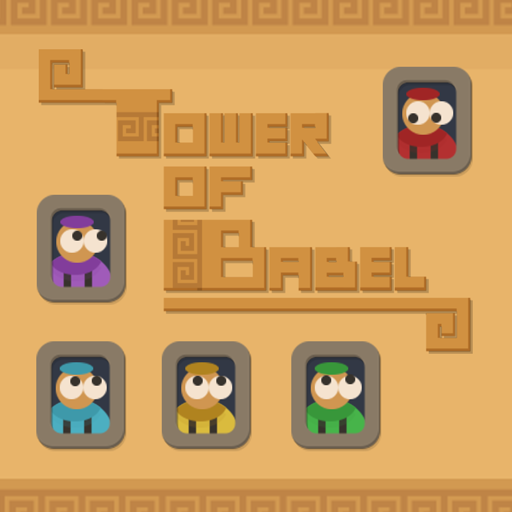 A beautifully polished game where everybody builds a tower together in a non-cooperative way! It is important that we keep up with the latest technology here at AirConsole. We have introduced WebRTC technology this fall to further reduce the latency between the smartphone and the screen. In this industry experts article we were listed as one of six unique use-cases of this new technology. Google also decided to switch of webcam support for non-https websites in December, so we started the move towards https, because we want to be able to use webcams in the future in our games. We are looking forward to all the new technologies 2016 will bring and will embrace them! After building the whole platform and our first launch of AirConsole this year, our goal was more content for AirConsole by the end of 2015. We are proud that by Christmas we had 20 Games ready to be played over the holidays. The reception was great and we got more landmines from Reddit and other places. We celebrated all of this properly with a fantastic Christmas team dinner. The public Alexa Rank shows that AirConsole is one of the top 150k websites globally. There are about 300 mio registered domains world wide, which means that we are already one of the top 0.05% websites on the internet four months after our initial launch. We are super happy how we finished 2015. We are ready for 2016 with more games, new technologies and tons of passion. Everyone of us is very proud to be part of AirConsole. The AirConsole blog is live! Interesting insight. How many games do you think airconsole will have in the long run? Hi Curtis. We're adding quite a few games in the next weeks such as Grannies and Planes and a Karaoke. While the number of games is important, we're also looking for quality. That's why we're working together with external developers to assure the quality only goes up. You can expect many releases in 2016. 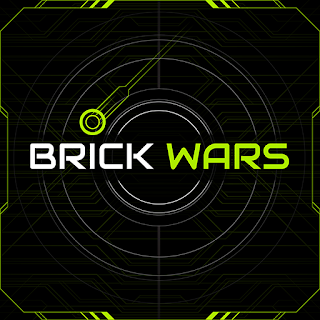 I'm really interested in creating my own websocket game. Are there any useful resources that I could be directed too?